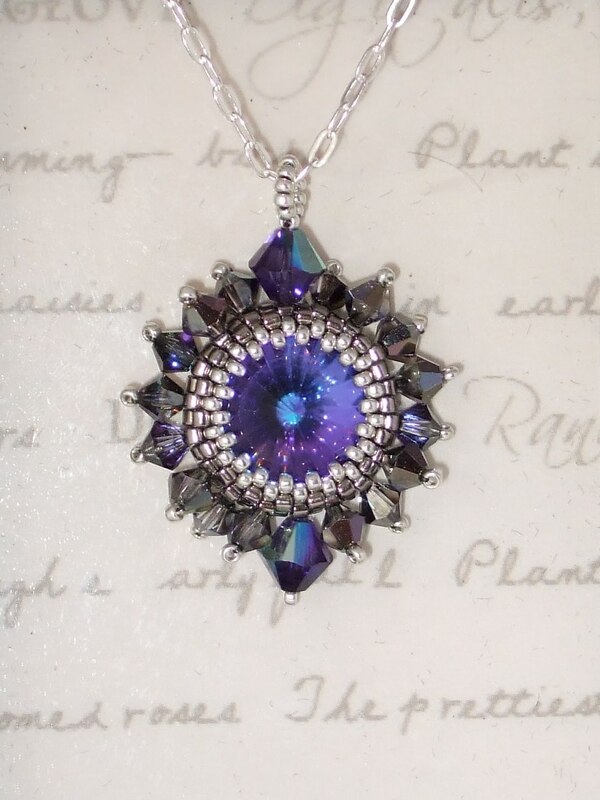 In this workshop you will learn how to create a bezel for a Swarovski crystal rivoli and then embellish it with more crystals, using just a few simple stitches. There will be a choice of kits, in different colour combinations, including a printed copy of the tutorial for you to take home. Each kit includes all the beads and thread to make one pendant, complete with a sterling silver or vermeil chain.